British Geological Seismometer – Some time ago the school obtained a seismometer (used to measure movements of the earth) as part of the Schools Seismometer Project, run by the British Geological Survey. It has proved challenging to get all the pieces in place to get this working and recording data, but when Professor Peter Maguire, who has holidayed in the area for many years, contacted us to ask if he could help, we readily accepted. He arrived with a range of additional equipment and gave up a good deal of his time to get it working. We are very grateful for all the help that Peter has given in setting up the seismometer, and look forward to making use of it in many ways over the coming years. It is sensitive enough to detect both small local events and larger events worldwide. The image shows the vibrations picked up in Gairloch as a result of the most recent earthquake in Nepal. S1 Cairngorm Week – Our S1 pupils completed their residential week at the Cairngorm Christian Centre in Kincraig recently and enjoyed a range of activities that build on cycling, orienteering and climbing skills developed in school. Thanks must go to Dr Caley who organises the week along with the dedicated band of staff who supervise and lead each of the activities as well as cook and babysit the youngsters. Many of the photographs taken throughout the week can be seen on the school website alongside photographs from previous trips. YPI – Our S3 pupils are currently working on a programme called the Youth and Philanthropy Initiative in their PSHE lessons. They have been conducting research into social issues that affect residents in the local community and the charities that work to address these. On Wednesday 13th May representatives from 10 charities visited the school to inform the S3 pupils of their work in our local area. These charities were Gairloch Community Car Scheme, Ileostomy Support Group (Highland), Befrienders Highland, Highland Hospice, Carr Gorm, Gairloch Heritage Museum, Ross-shire Women’s Aid, Dundonnell Mountain Rescue Team, GALE Action Forum and CLIC Sargent. Each group of pupils now has to choose one of these charities to research further and deliver a presentation on at the end of term. The group delivering the best presentation will win £3000 to award to their chosen charity. 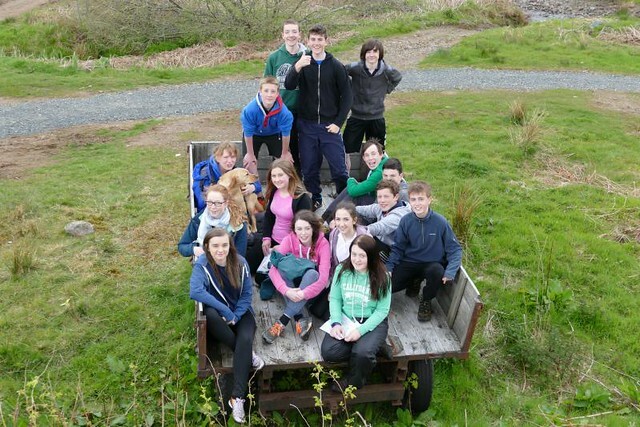 Orienteering – During their activities week, S3 pupils enjoyed a morning of orienteering at Flowerdale. Everyone competed over two very different courses. The first was easy, with controls at all path junctions. Hector completed this in the fastest time, in just less than 10 minutes. Chris, Gregor, Sara and Max were close behind. The second course was much more challenging and required stamina and good map reading skills. Thanks very much to Guy Seaman who planned the courses, placed all the controls and gave pupils some top tips on the day. ‘The Apprentice’­ – S3 pupils, during the first two days of their Activity Week, were again this year involved in an event similar to the BBC programme ‘The Apprentice’. They spent two days working in teams to come up with an idea for a game, quiz or reality television show. Their ideas were then presented to the rest of the school. A panel of teachers and senior pupils judged the ideas based on their originality, potential entertainment value and likelihood of being commissioned. In addition, the teams’ presentations were taken into account. The year group took to this challenge well and it was great to see such a variety of ideas and high quality presentations. The winning team devised an international job swap programme. The judges were impressed by the trailer that was produced, the costings, the presentation and the concept overall. A television producer has been approached to view the presentations and give an opinion on the teams’ efforts. 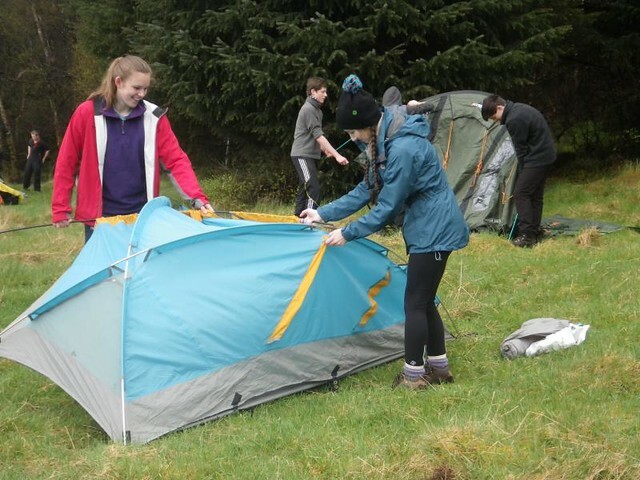 Bronze DofE training – 22 of our S3 pupils are undertaking their Bronze DofE expedition this term. Training began on Wednesday 6th May at Slattadale. The first task of the day was to pitch tents and some pupils have clearly had more experience of this than others! Everyone then joined in with the ‘kit check’ game. Next came cooking and, following a short presentation on safe use of the stoves, the pupils prepared a three course lunch. The groups had planned their menus in advance. We finished the day with mini-presentations from each person to the rest of their group on emergency procedures, first aid, camp hygiene, comfort and rucksack packing. First Aid – Once again at this time of year, pupils in S3 undertook a one-day First Aid course with Mr Cory Jones of Outdoor First Aid. For those involved with the Duke of Edinburgh’s Award, this provided training for their forthcoming expedition. For all, it provided them with the ability to cope with emergencies, extending the work done previously with on basic life-saving first aid. We thank Mr Jones for running this course again. Primary 7 Icebreaker and Expressive Arts Days – These took place on the 20th and 21st May. The days are designed to allow the pupils, who will become S1 after the summer, to get a taste of High School in advance of August. These exciting one day events will be followed up shortly by another two days where the pupils will sample their 2015/2016 timetables. Comenius Project 2013-15 Gairloch High School – In the week beginning 20th April, Gairloch played host to the countries participating in the High School’s Comenius project. Staff and pupils arrived from Latvia, Portugal, Poland, Greece, Turkey and Finland. Unfortunately, the 8th country involved – Spain – was unable to join us. At the beginning of the week, the visitors made their presentations based on the Project Title –The Four Elements of Nature & Their Effect on Our Lives. In addition, activities were organised during the week, such as a beach barbeque, a traditional ceilidh, a walk up Beinn Eighe Mountain Trail, and a trip to Ullapool. Luck was on their side, as the weather was sunny and dry! 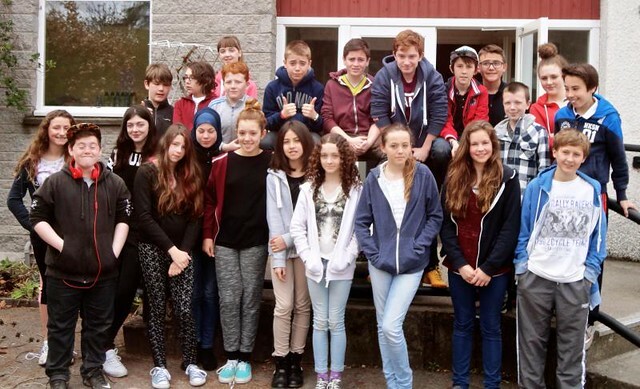 Everyone had a fantastic time, and the students from Europe were hosted by pupils in the school; friendships were made during the week which can last a lifetime. This week was the culmination of the project, which lasted for nearly 2 years. Over 20 pupils in Gairloch High School made trips to the 7 other countries involved in the project, and were also hosted by families there. 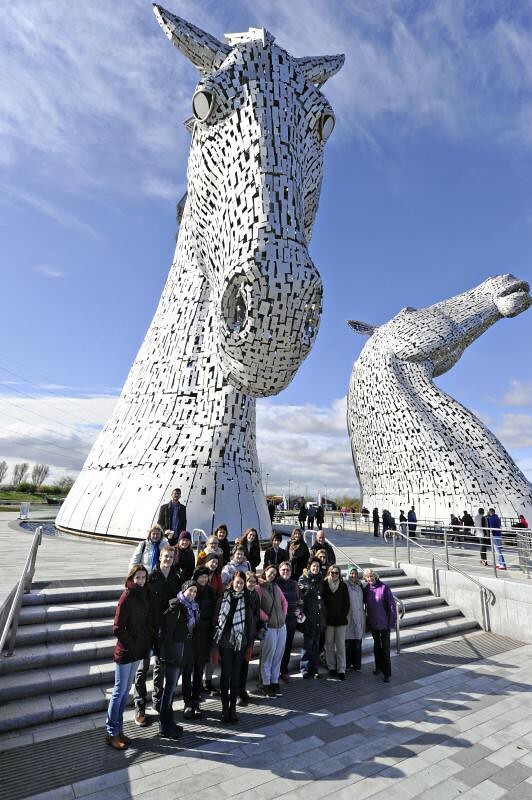 On the way from Edinburgh, there was time to make a visit to the famous Kelpies, and the first of many group photos was taken. S1 Anti-Bullying Day – On Friday 1st May all of S1 took part in an anti-bullying day. The aim of the day is to remind pupils of their rights and responsibilities when it comes to working together. Pupils spent the morning taking part in a number of activities to get them thinking about the consequences of bullying and then they watched some videos with various types of bullying, discussing different people’s responsibilities and actions in these scenarios. The afternoon was spent making anti-bullying posters and bunting. 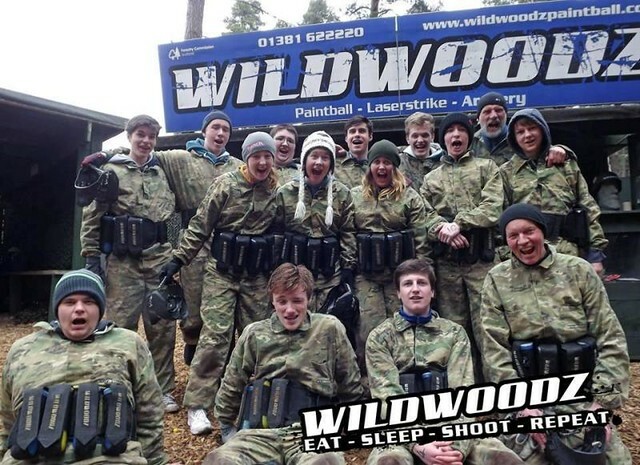 S6 farewell – On their last day together at secondary school before their exams, S6 travelled to Wildwoodz with Mr Milner and Mr Bowker and enjoyed a day of paintballing. Much fun was had by all taking part in this successful trip. Look at the Evidence evening – On Tuesday 28th April, we held another opportunity for members of the community to try out some of the activities that have been introduced due to the Rolls-Royce Science Prize invovlement. Parents and guests had the chance to carry out DNA profiling, guided by pupils. Each of the groups produced a gel sample like the one in the photo, which clearly showed banding in columns B and D. This equated to a match between DNA found at the simulated crime scene (B) with DNA taken from one of three suspects(C, D, E). There was also a chance to try out some modern microscopy techniques and hear about Advanced Higher projects carried out this year. These involved investigations into the efficacy of Munuka Honey (Siobhan Vickerstaff) and the content of owl pellets (Sofie Banister). 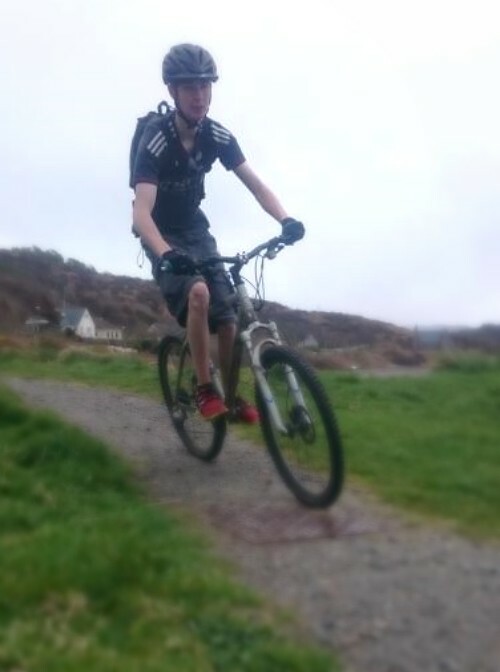 Outdoor Education Partnerships – On Monday the 27th April S5 pupils James Aaron & Connor Moore along with their Outdoor Education teacher Mr Sutherland joined Inverness College, UHI tutor, Nicki Diggins and her three Outdoor Pursuits students for a day’s mountain biking locally. The team showed the UHI folk some of our tracks by leading them around ‘The Old Road’ and through Flowerdale back to school. 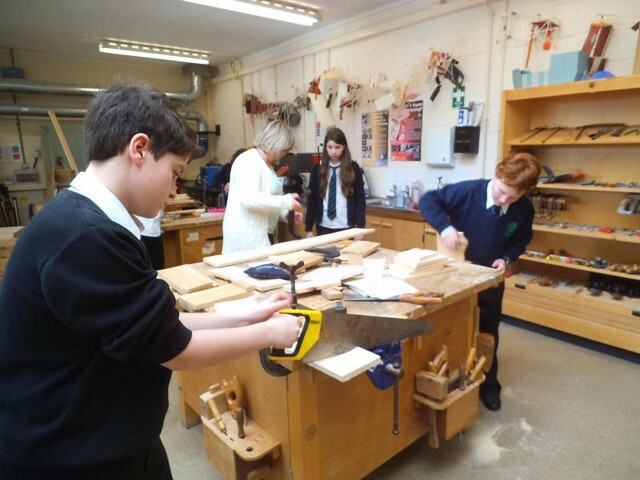 This was another chance for our pupils to develop their confidence and skill while working with older students from UHI. Next issue we will have a report of the S1 Residential in the Cairngorm National Park that took place between 11th and 15th May.